The 2016 One Book, One Philadelphia featured reading selection is "Cold Mountain" by Charles Frazier. 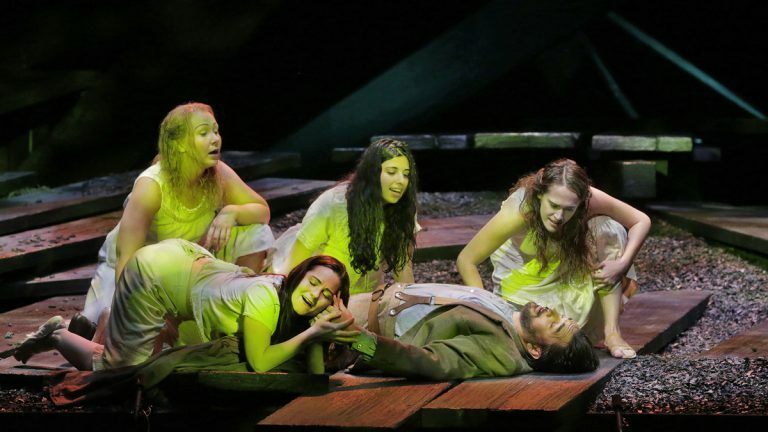 The literacy initiative from the Free Library of Philadelphia and the Mayor's Office kicks off February 2 through March 30 with more than one hundred related events including Opera Philadelphia's East Coast premiere of "Cold Mountain" (pictured) at the Academy of Music. Photo by Ken Howard for Santa Fe Opera. From Lost Egypt to Cold Mountain to blooming orchids and the glory of the Russian Empire. There’s something for everyone this week. Robin Bloom shares her picks. Opera Philadelphia’s East Coast premiere of Cold Mountain takes to the stage at the Academy of Music with five performances, February 5-14. Philadelphia-based Pulitzer-prize winning composer Jennifer Higdon’s first opera based on the National Book Award-winning novel by Charles Frazier premiered in six sold-out performances in August at the Santa Fe Opera (who co-commissioned and co-produced the production with Opera Philadelphia and the Minnesota Opera, in collaboration with North Carolina Opera). 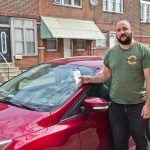 Baritone and Curtis Institute of Music graduate Jarrett Ott performs the role of W.P. 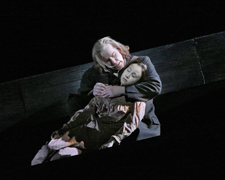 Inman, a wounded Civil War soldier who deserts the Confederate Army to reunite with his love Ada Monroe (Grammy Award-winning mezzo-soprano Isabel Leonard making her Opera Philadelphia debut). Follow Inman’s emotional journey as he is forced to question where his allegiance lies amidst the violence and destruction of the American Civil War. Also starring Grammy-Award winning tenor Jay Hunter Morris, Mezzo Cecilia Hall, bass Kevin Burdette, tenor Paul Groves, baritone Anthony Michaels-Moore, mezzo Marietta Simpson and baritone Marcus DeLoach, with a libretto by Gene Scheer. Directed by Leonard Foglia with music direction by Corrado Rovaris, leading the Opera Philadelphia Orchestra, performed in English with English supertitles. 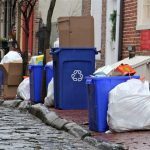 Related events include Telling Cold Mountain: A Film Screening and Panel, Sunday, January 31, 3pm, the Prince Theater, and A Conversation with Charles Frazier and Jennifer Higdon One Book, One Philadelphia kickoff event, Tuesday, February 2, 7:30pm, Free Library of Philadelphia. Photo by Ken Howard for Santa Fe Opera. 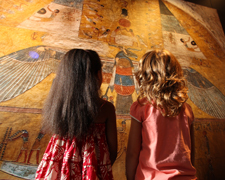 Unearth the mysteries of ancient Egypt using modern science and technology with the Franklin Institute’s latest exhibit Lost Egypt: Ancient Secrets, Modern Science. The immersive and interactive display reveals how archaeologists use modern science and technology to uncover and understand the ancient civilization of Egypt, January 30 through August 28. Look for several interactive elements, unique photography, insight from archaeologists, and real Egyptian artifacts across four content areas. Highlights include a real human mummy, scans and forensic facial reconstructions of various mummies, a mock excavation site and dig pit, Egyptian hieroglyphic writing and decoding of authentic messages from ancient Egypt and artifact reconstructions from broken pieces of pottery, 222 North 20th Street, Philadelphia. Photo by Brad Feinknopf. Come face to face with nearly 20 species of live tarantulas – fangs and all – at the Academy of Natural Sciences of Drexel University. Tarantulas: Alive and Up Close opens January 30 and focuses on the diverse and natural beauty of the fascinating creatures and provides a personal view of their hidden world. 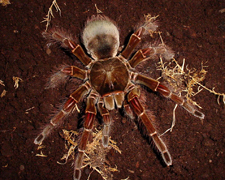 Engaging live and interactive experiences include videos, colorful graphics, games, and much more that highlight the unique attributes of some of the 900 known species found all over the world, including the largest of all tarantulas, the Goliath bird-eating tarantula (pictured). Every Saturday and Sunday at 11:45am, visitors are able to see a tarantula outside of its enclosure as a tarantula keeper talks about its features and answers questions, through May 30, 1900 Benjamin Franklin Parkway, Philadelphia. Created by Outhouse Exhibit Services, Inc. Photo courtesy of Outhouse Exhibit Services. 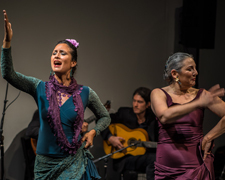 Pasión y Arte, Philadelphia’s premier all-female flamenco dance company, recreates the café like environment of the 18th and 19th century “tablaos” of Spain atmosphere where diverse audiences would gather to drink, eat and enjoy music, rhythm, and movement by masters of the flamenco art form. Tablao Philly showcases unique interpretations of flamenco with Spanish flamenco star Almudena Serrano, Philadelphia/New York based flamenco ensemble De Luna a Lunares, dancers Monica Herrera, Marilla Quevedo, Griselda Marin, guitarist/cantor Cristian Puig, and percussionist Guillermo Barron as well as the dancers and musicians of PyA, including cantor Hector Jose Marquez, guitarist Behzah Habibzai and dancers Alexa Miton and Hevia y Vaca. Performances January 28-30, 9pm, Asian Arts Initiative, 1219 Vine Street, Philadelphia. Wine and tapas will be served. Photo by Mike Hurwitz. 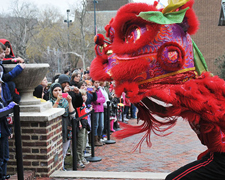 Welcome the Year of the Monkey at Penn Museum’s annual Chinese New Year Celebration, Saturday, January 30, 11am-4pm, with traditional music and dance performances and many more activities for all ages, culminating with the Grand Finale Lion Dance to chase away evil and usher in a year of good luck, 3260 South Street, Philadelphia. Photo courtesy of Penn Museum. 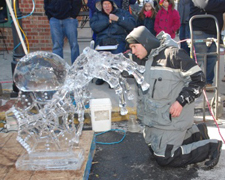 The annual Fire & Ice Festival returns to downtown Mount Holly, New Jersey Saturday, January 30. Over a dozen professional and amateur ice carvers from up and down the east coast will transform 300 pound blocks of ice into beautiful crystalline works of art beginning at 10:30am and concluding at 3pm when judging ends. Results will be announced by 4pm. Plus a professional chili chef competition, a cupcake decorating contest, tours of the new state of the art Culinary Center, craft beer tent, and many more family activities and entertainment. Free. Pictured: 1st Place 2015 Rich Daly, Mastic Beach, NY. InterAct Theatre Company takes a comedic look at modern political action and the harsh realities that come with wielding populist power in the internet age with the world premiere of #therevolution by Kristoffer Diaz. 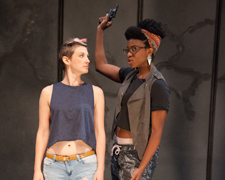 The clever and timely play about two young women who try to navigate the unforeseen challenges that come with newly-acquired roles as leaders is onstage in InterAct’s new space at The Drake, 15th and Spruce Streets, Philadelphia through February 14. Directed by Producing Artistic Director Seth Rozin and starring local actors Brett Robinson, Mary Tuomanen, Anita Holland, Stephani Walters, and Richard Chan. Photo by Kate Raines/Plate3Photograpy. 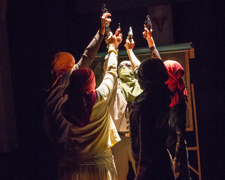 Join a paramilitary meeting of dissidents planning to overthrow the Pinochet government. Guillermo Calderón presents the position of the dissidents who did not want to play into Chilean dictator Augusto Pinochet’s plan in Escuela, Thursday, January 28, 8pm, Friday, January 29, 8pm, and Saturday, January 30, 8pm, FringeArts, 140 N. Columbus Boulevard (at Race St.), Philadelphia. 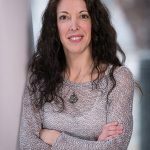 Events include a January 28 post-show talk back with the director and FringeArts Programming Manager Sarah Bishop-Stone. Photo by Sarah Krulwich. Yes! 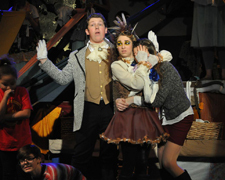 And…Collaborative Arts’ Winter Sort of Thing presents The Silliest Story Ever Told, an original, magical and imaginative musical comedy for the whole family that focuses on the fictional children’s author team of Taft and Steinman and the many loveable creatures they have brought to life over the years. For eight years, the Winter Sort of Thing performances have been held at Eastern University. This year, you can catch it at Plays & Players Theatre with five performances, January 28-31, 1714 Delancey Place, Philadelphia. Featuring area actors Julia Shields Chrestay, Natalie Cisternas Hann, Heather McBride, and over 30 Philadelphia children. Photo courtesy of Yes! And…Collaborative Arts. Longwood Gardens’ annual Orchid Extravaganza is underway, celebrating one of the first plant collections by founder Pierre S. du Pont and his wife, Alice. Take in the range of color and fragrance of more than 5000 orchids, through March 27. 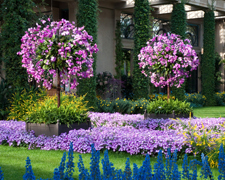 Enjoy the Mediterranean Garden, Estate Fruit House, the award-winning Orchid curtain featuring 250 purple Phaleanopsis and Cattleya orchids in bloom, and through the end of January, see the rare Fredclarkeara After Dark “SVO Black Pearl” orchid. Also, special events include concerts, talks, tours and OrKID Days (select days when children can learn firsthand about the beautiful blossoms at discovery stations). Check out the rare blue-poppies that bloom in the month of March, Route 1, Kennett Square, PA. Photo by Larry Albee for Longwood Gardens. More than 60 masterpieces drawn from the remarkable collection of the National Museum Wales offer insight into the rise of British landscape painting, on view at Princeton University Art Museum through April 24. Pastures Green and Dark Satanic Mills: The British Passion for Landscape includes works by Thomas Gainsborough, John Constable, J. M. W. Turner, Claude Monet, Alfred Sisley, Oskar Kokoschka, David Nash, and Stanley Spencer, focusing on the period from 1770 to the present – from the Industrial Revolution through 19th-century Romanticism and Impressionism, to 20th-century modernism and contemporary art – as Britain became the world’s first industrial nation late in the 18th century. Accompanied by a fully illustrated catalogue, Princeton, NJ. 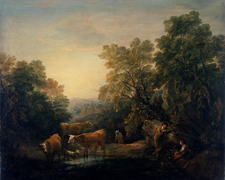 Pictured: Rocky Wooded Landscape with Rustic Lovers, Herdsman, and Cows, 1771-74 oil on canvas by Thomas Gainsborough, National Museum Wales (NMW A 22780) Courtesy American Federation of Arts. Two centuries of Imperial Russian arts are on view at the Reading Public Museum. 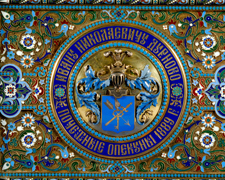 The Tsars’ Cabinet highlights two hundred years of decorative arts under the Romanovs, from the time of Peter the Great in the early eighteenth century to that of Nicholas II in the early twentieth century. Many of the more than 230 objects in the nationally touring exhibition include porcelain, glass, enamel, silver gilt and other items that demonstrate the evolution of style from the European Classicism of the court of Catherine the Great, to the rich oriental motifs of mid-nineteenth century Russian Historicism of the Kremlin and Grand Duke Constantine Nicholaevich services and the enamel work of Fedor Ruckert and the firm of Ovchinnikov. The rare, intimate glimpse into the everyday lives of the tsars is on view through April 17 at 500 Museum Road, Reading PA. Pictured: Durnovo Casket (and detail) Silver gilt, enamel and lapis lazuli, 1889, photo courtesy of Giovanni Lundardi Photography. Philadelphia Photo Arts Center examines how Russians mold identity around destiny in Fate Shifts Shapes, a multimedia exhibition inspired by the contrast between society and self in contemporary Russia. Photography, poetry and moving image by four artists from the United States, Russia, Germany explores the Russian culture’s obsession with fate and highlights how vulnerable individuals like women, gay men, and economic migrants are particularly pressured to mold their identities around the authority of conservative cultural norms, through February 27, 1400 N. American Street, Philadelphia. Included with the exhibition is a limited edition publication of poetry and images by the four exhibiting artists. Photo by Sasha Rudensky. The Idiopathic Ridiculopathy Consortium celebrates its 10th season of presenting challenging and rarely-produced absurdist works from around the world with Nikolai Gogol’s The Government Inspector. 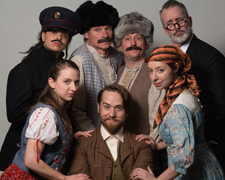 The comedy of errors by the Russian novelist, dramatist, satirist and founder of the so-called critical realism in Russian literature, is a witty and relevant farce satirizing political corruption in the Russian Empire, beginning in previews February 2-28. 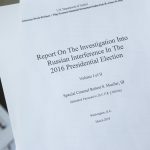 One of Russia’s most produced plays, the show has often been referred to as one of the greatest Russian plays ever written. Directed by Tina Brock and featuring Andrew Carroll, Michael Dura, Jennifer MacMillan, Paul McElwee, and Bob Schmidt, Francesca Piccioni, and Jack Tamburri, onstage at Walnut Street Theatre’s Studio 5, 825 Walnut Street, Philadelphia. Photo by Johanna Austin. Lotus performs in Philadelphia, Friday, January 29, 8:30pm. 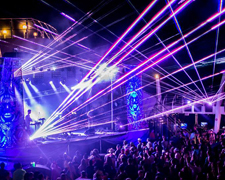 The instrumental electronic jam band is known for incorporating elements of rock, electronica, jazz, jam, hip-hop, funk and other influences, along with a complex light show, Electric Factory, 421 North 7th Street, Philadelphia. 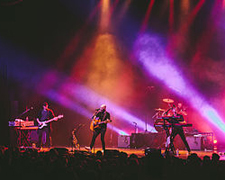 X Ambassadors (pictured) perform at the Wells Fargo Center Sunday, January 31, in support of their new album VHS, opening for English rock band Muse’s Drones World Tour, 7:30pm, 3601 S. Broad Street, Philadelphia.